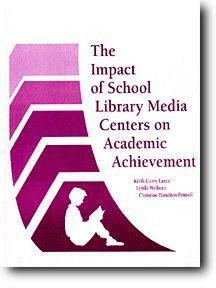 How does the school library media center affect academic achievement? Positively-and here's the evidence to prove it! Based on research in more than 200 Colorado public schools in the 1989 school year, this work validates the important role of the school library media center and the school library media specialist. The research shows that where LMCs are better funded, academic achievement is higher and that schools where library media specialists participate in the instructional process tend to produce higher academic achievers. Powerful and affirming, this work will be a vital addition to the professional collection of every school library media specialist. It also includes a suggested 15-minute presentation complete with transparencies that summarizes the study which is designed for library media specialists, administrators, boards, and parents. Keith Curry Lance is Director, Library Research Service, State Library and Adult Education Office, Colorado Department of Education, Denver, Colorado. Lynda Welborn is a library media specilialist in Colorado, and Christine Hamilton-Pennell is a library consultant in the State Library, Colorado Department of Education, Colorado.